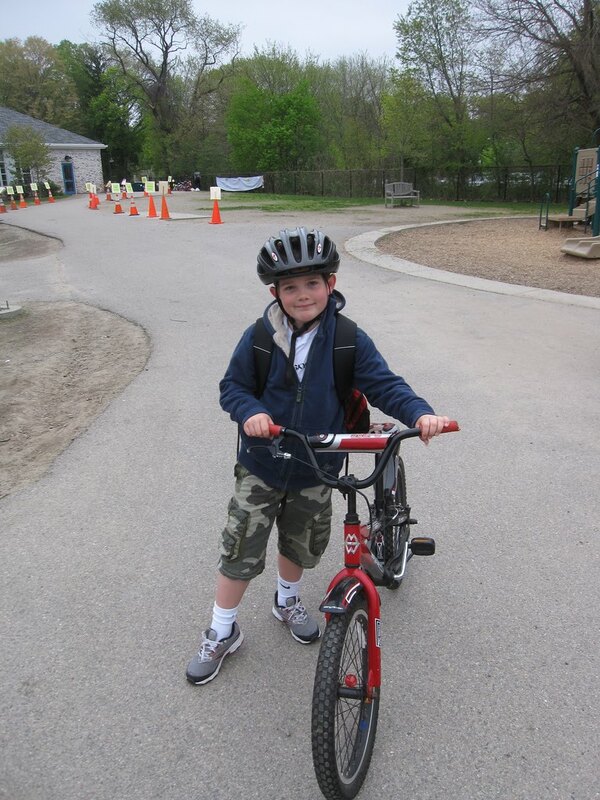 The Milton Public School system has adopted pedestrian and bicycle safety training as part of the 2nd and 4th grade curriculum respectively. This is part of the Safe Routes to School program. Students will recieve training during the months of May or June through their Physical Education class and instructor. This training will need follow up and reinforcement by parents. The curriculum is straightforward but it is very important that parents are involved and repeat the same message. Please visit the following websites to review the curriculum and reinforce the message. In addition, 2nd grade Pedestrian Safety Training will require parent volunteers. Please volunteer if you have time. You will receive training. 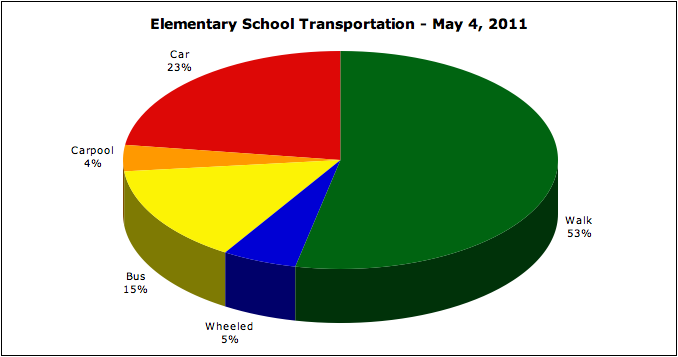 How do people get to and from school? 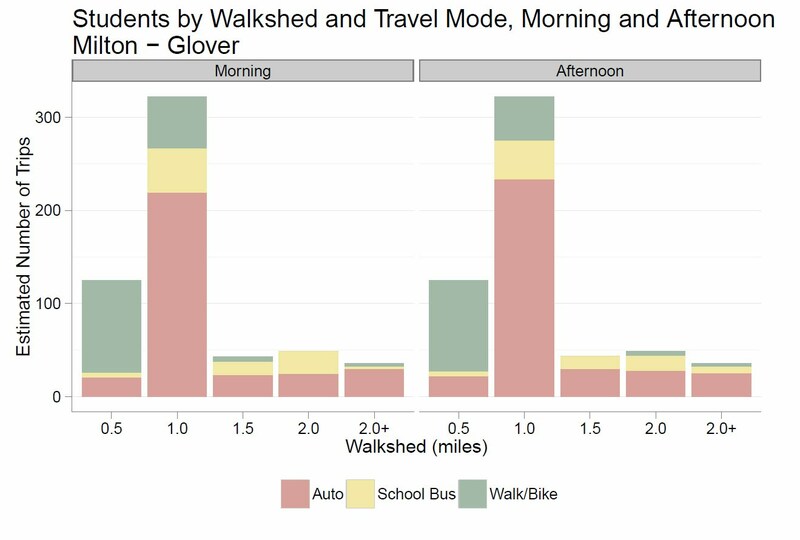 This survey from 2017 shows distances to Glover in half-mile increments, and how people traveled (blue = walk, red = car, purple = carpool, yellow = school bus, green = bicycle). 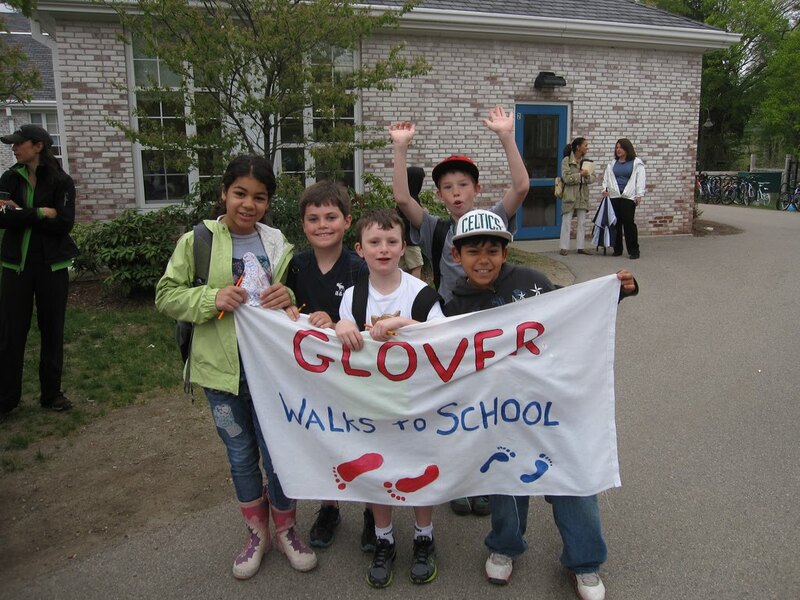 The survey showed that people who lived closest to school were more likely to walk. There is room for improvement for buses. Many families are already walking to school. By banding together and forming a walking school bus, we could help neighbors walk to school together, promoting healthy activity, reducing traffic congestion and enjoying more social interaction along the way. 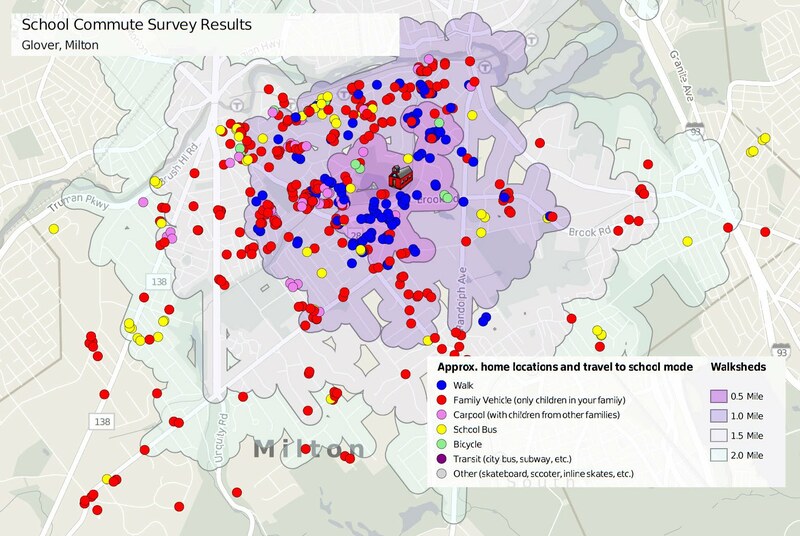 Also, looking at the map, it is clear that many families carpool. By coordinating among families to form walking school buses, more people could also carpool with their neighbors. 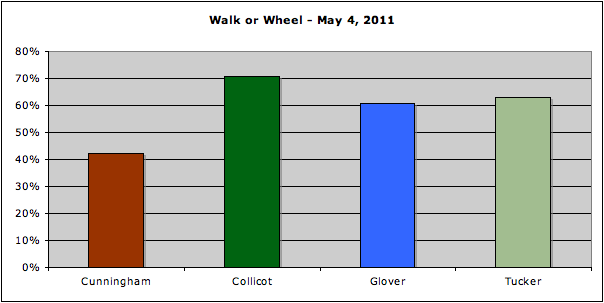 See the linked files below for details of the school surveys and learn more from the Walking School Bus guide (PDFs). 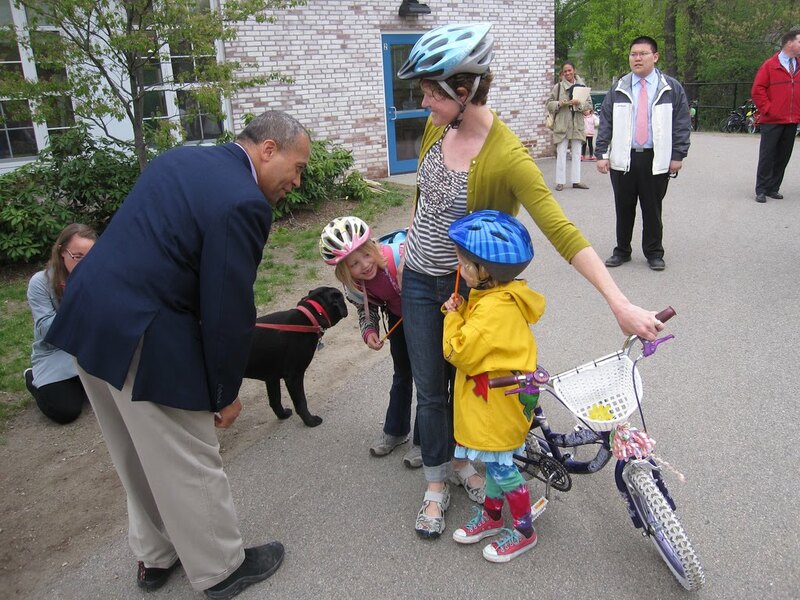 Here is a link to the MassDOT Safe Routes to Schools page. Here is a link to the MassDOT Student Yard Sign Contest page. The contest is open to students until March 16.